Unimerica Insurance Company is a UnitedHealth Group company. UnitedHealth, is a diverse health care organization, which promotes the health and general well being of all of its many clients and policy holders, more than 70 million strong in the United States. UnitedHealth, through its many subsidiaries, showed profits of 4.6 billion dollars in 2010 making it one of the largest and most successful health insurance companies in the nation! As a giant in the health insurance industry, UnitedHealth is a powerful force among Washington lobbyists. In 2010, UnitedHealth spent almost $3 million promoting legislation favorable to the health insurance industry. UnitedHealth directly supports several lobbyists and political action committees. J.D. Powers gives UnitedHealth consistently high marks for satisfaction for its employer funded health plans. The American Medical Association (AMA) also rates UnitedHealth’s programs highly. 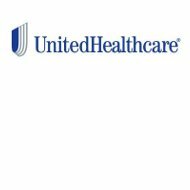 “Business Insurance” recently named UnitedHealth as their people’s choice winner for best health provider. OptumHealth specializes in managed care and wellness. Optum also provides advocacy and support services in such diverse areas as mental health and substance abuse. Optum divisions also include a financial services company. OptumRx assists retail pharmacy outlets in processing claims and with other specialty programs. Whether you’re looking for an individual health plan, excellent health coverage for your employees or Medicare or Medicaid supplemental coverage, UnitedHealthcare has a program specifically tailored to fit your needs. Individual health plans include traditional copayment programs or high deductible plans featuring lower monthly premium payments. There are also health savings account programs. Short-term health coverage is available as well for those with gaps in their coverage. For Medicare recipients, UnitedHealthcare underwrites supplemental medical and prescription drug programs for AARP as well as other membership and health management groups across the country. Depending on your state of residence, various program options are available including a “dual advantage” plan for Medicare clients who also receive Medicaid benefits. Other plans include HMO coverage or allow for the selection of private practitioners. Medicaid supplemental programs offer a variety of choices including community family plans and special programs just for children under the age of 19. There are also several programs that combine services for Medicare recipients. More information about UnitedHealthcare employer plans may be obtained by finding a broker on United’s employer page. United offers several group options and specialty programs such as vision and dental insurance. UnitedHealth sponsors many worthwhile charitable causes and events throughout the United States. In 2010, children’s hospitals in Minnesota were the beneficiaries of a 17.5 million dollar gift from UnitedHealthcare. UnitedHealth is also a major sponsor of the “Make-a-Wish Foundation and the American Heart Association in its home state of Minnesota. UnitedHealth Group features very informative and interactive career pages, which allows the user to search for UnitedHealth jobs in different career disciplines, find information about the company, and how apply through the website. UnitedHealth also includes a very informative section on its college recruiting program.